Discover the classics, with a fresh twist. Bright colors, unique settings and stylish photography will give your classic blocks a new look! 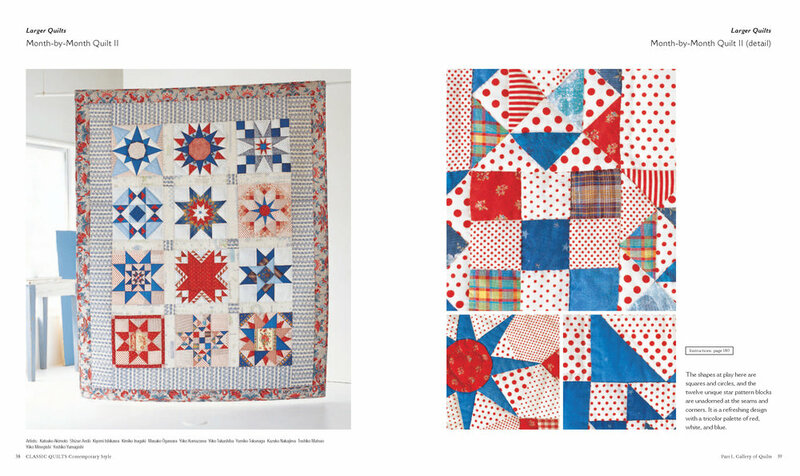 47 gorgeous quilting projects with corresponding instructions and patterns are featured inside. Each project is beautifully photographed with detail shots highlighting special project accents. Full-size quilts, wall-hangings, and quilted bags are all showcased— pick and choose your favorite projects! Featured patterns include: Feathered Star, Tennessee Star, Ohio Star, Harvest Sun, Wandering Diamond, Sunburst and Lone Star.